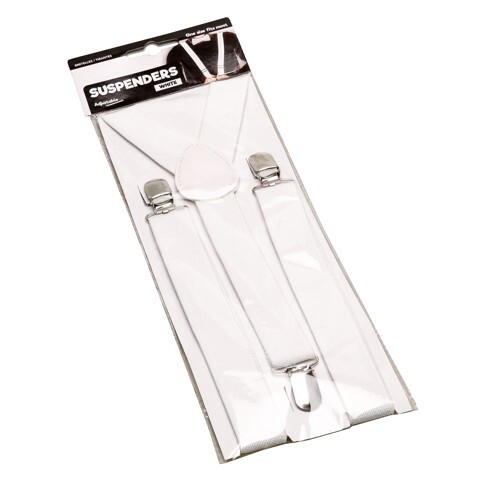 Dress Up Suspenders White. 76 x 2.5cm. White. Polyester l Metal. 73g Packaging: OPP Bag with Header and Insert Card.